ABC, People and Time Inc. Productions are teaming up on a four-hour documentary about the British royal family. The show reunites the same team behind last year’s "The Story of Diana,” a two-night documentary event marking the 20th anniversary of Princess Diana's death. "The Story of Diana" Part One and Two won the two-hour time slot over two consecutive nights. Called "The Story of The Royals," the new documentary event will air on ABC over two nights in August 2018. It will focus on four generations of the crown: Queen Elizabeth II, Prince Charles, Prince William and Prince George. "The Story of The Royals" will feature interviews with palace insiders, royal experts and longtime People contributors. 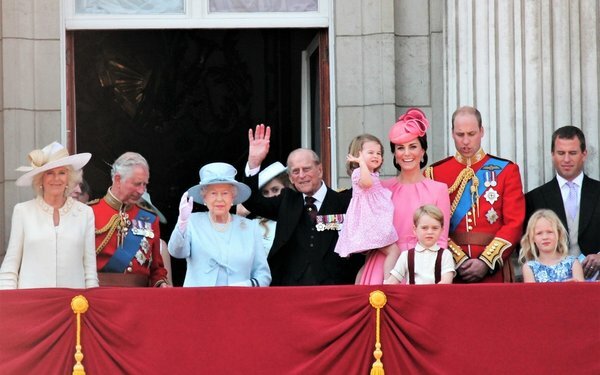 "People is known for its extensive coverage of the royal family by reporters who are experts in the subject matter," stated Jess Cagle, People editor-in-chief and editorial director of the Entertainment and Style group. "Our audience can't get enough of the royals; they continue to attract interest with each new generation." The series comes as the British royal family prepares for a new royal baby this spring from Prince William and Kate Middleton. It also welcomes Meghan Markle, the first American to marry into the British royal family since Wallis Simpson in 1937. Time Inc. Productions, the television production division of People parent company Meredith Corp., will distribute the documentary in international territories. This documentary is the latest deal in People’s strategy to expand its brand's reach through TV programs. Last year, the People brand -- then still owned by Time Inc. -- partnered with ABC News on a limited series called “People Icons,” inspired by iconic People magazine covers. The People brand has its own over-the-top video streaming service called PeopleTV, which launched in 2016.